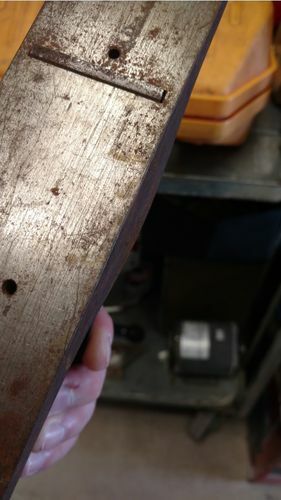 Holes on sole of hand plane? I saw this plane in a flea market and was curious. Why does this plane have threaded holes on the sole? Its a Fulton 3709. Threaded? More than likely some sort of fence. 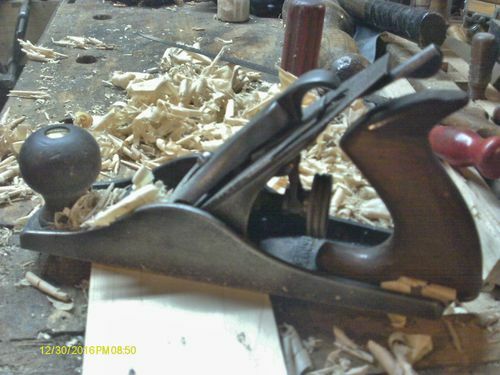 Would having them there affect the function of it as a regular hand plane? 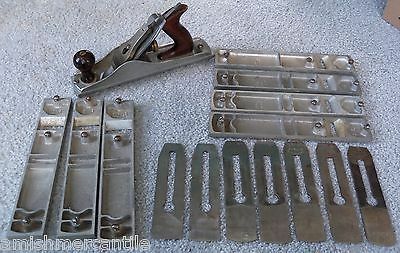 Anyone know anything about fulton 3709 planes? It looks like an old one but also looks like it could be cleaned up. It might be decent but I thought I remember someone saying they were second line planes. I’d rather have better as a user. The only Fulton I ever saw was crap. 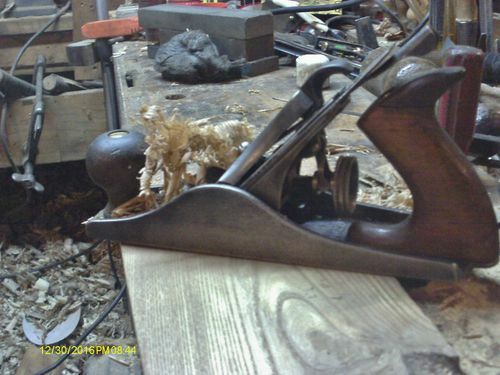 Ok, after further research…..the Fulton the OP has is made by Millers Falls, and is a #3 sized plane. Basically a Millers Falls No. 8, stripped down to be sold at Sears. I’ve seen a couple in the sole just below the knob and tote screws. It would seem that the screw pushed thru the sole. Don’t know about that plane. They could be to attach a base with a profile. Pattermakers converted planes like this.